Globally popular German haute couture icon Karl Lagerfeld, associated with luxury fashion brands Chanel and Fendi, died here on Tuesday at 85. The global fashion and showbiz community has mourned the demise of the designer, known for impeccable personal style, an evolving design sensibility as well as the knack for making controversial statements. A statement issued on Lagerfeld’s official Instagram account confirmed the news of his demise. “The House of Karl Lagerfeld shares, with deep emotion and sadness, the passing of its creative director Karl Lagerfeld on February 19, 2019 in Paris, France. He was one of the most influential and celebrated designers of the 21st century and an iconic, universal symbol of style. “Driven by a phenomenal sense of creativity, Karl was passionate, powerful and intensely curious. He leaves behind an extraordinary legacy as one of the greatest designers of our time, and there are no words to express how much he will be missed,” the official statement read. Lagerfeld was battling pancreatic cancer, reported dailymail.co.uk. He began his fashion career with the fashion house in 1983, a decade after Coco Chanel died. He was known for a distinctive look in his later years, regularly wearing dark suits, a ponytail, and black sunglasses. Indian designers, as well as film & fashion celebrities from across the world, paid tributes to Lagerfeld who sought inspiration from India for his pre-autumn/winter 2012-13 collection. 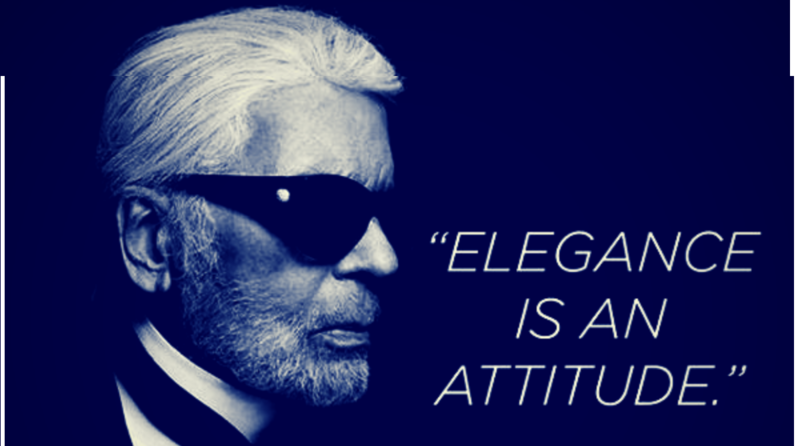 For internationally known designer Ritu Beri, Lagerfeld had been an inspiration for over two decades. “He was passionate, powerful and intensely curious. I met him with François Lesage who did the embroideries for Chanel. He was driven by a phenomenal sense of creativity and of course, was one of the greatest designer ever — the man behind the most important brand, Chanel,” Beri told IANS. Indian couturiers Rohit Bal and Manish Malhotra said Lagerfeld’s death marks an end of an era. “We will miss the genius and the eccentricity of Karl Lagerfeld, a legend who has an incredible individual sense of style. One of the greats in the history of global fashion influencers. May his soul rest in peace… in fashion heaven,” Bal told IANS. From Hollywood, several actors and designers who worked closely with Lagerfeld mourned his demise. Gigi Hadid, Antoria Banderas, Alexa Chung, Ryan Seacrest, Olivia Munn, Kris Jenner, Jessica Simpson were some of those who wrote early tributes for the man, who shaped up the legacy of Chanel.